For the Modern Day Yogi! 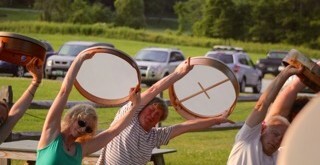 Learn how to drum confidently and in solid time. 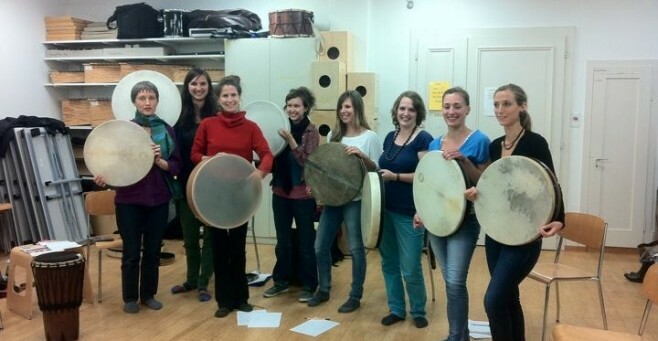 Learn traditional Middle Eastern drum strokes that can be applied to any type of hand drum. 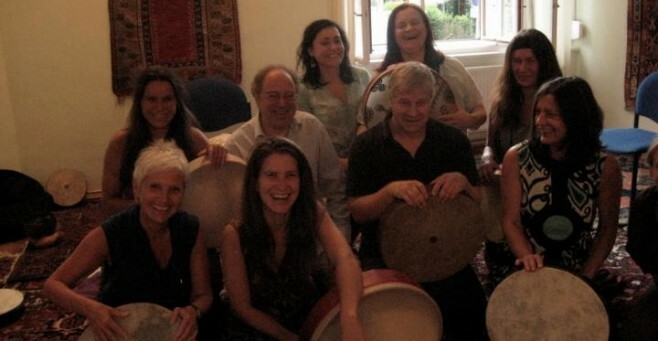 Learn how to improvise, create your own rhythms. 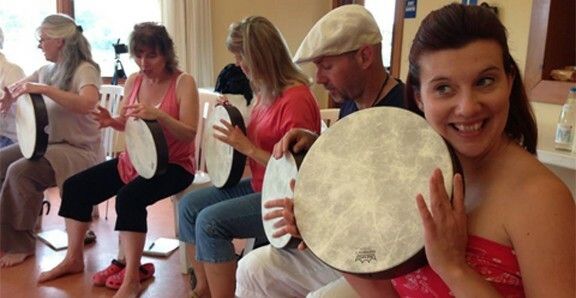 Learn about drumming styles and rhythms from around the world. Discover what it means to actively listen. 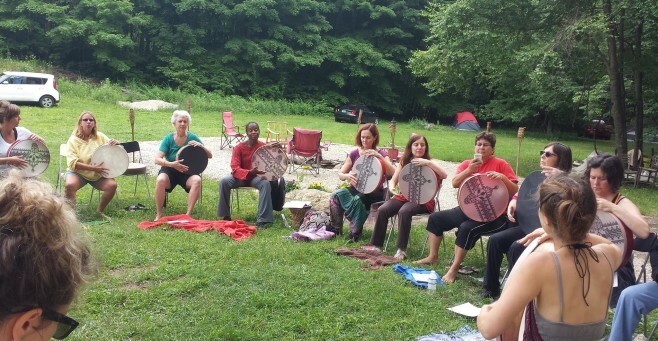 Learn how to chant and drum with your favorite chants! Learn exercises and techniques to discover your singing voice, to make it strong and beautiful! 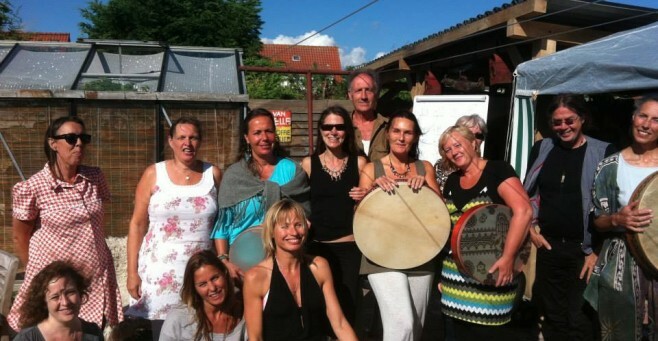 Learn how to play traditional trance healing rhythms from around the world! Listen to master Indian drummers. 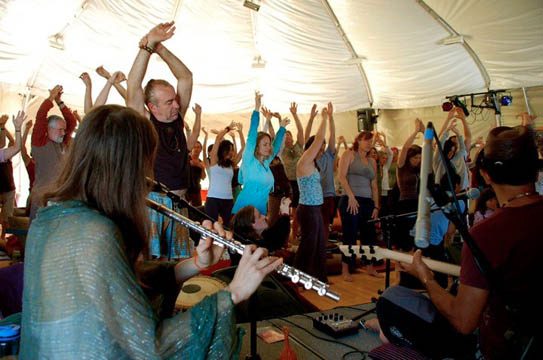 Learn how to keep “tala” or time in Indian music. 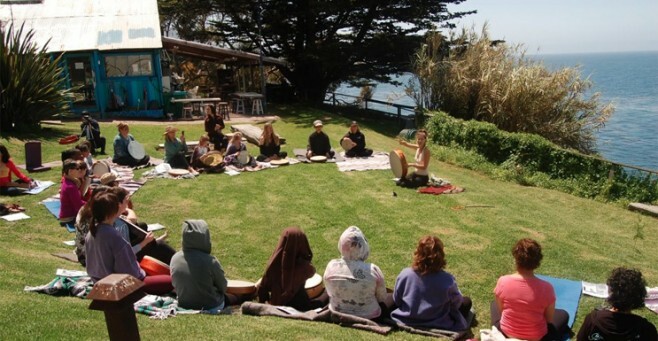 Explore a Shamanic inspired “trance drumming” meditation ritual which combines numerology and intention setting – where we play for a set length of time – drumming, chanting and meditating on our intentions. 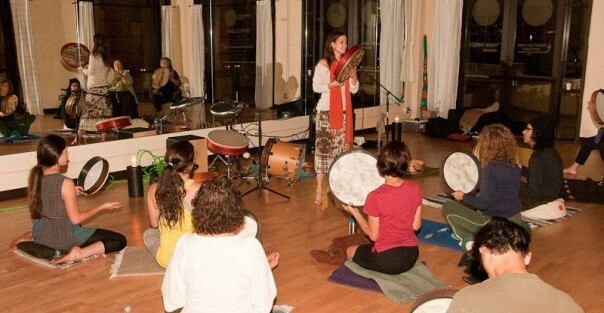 Learn how to use music as a part of your daily healing practice. 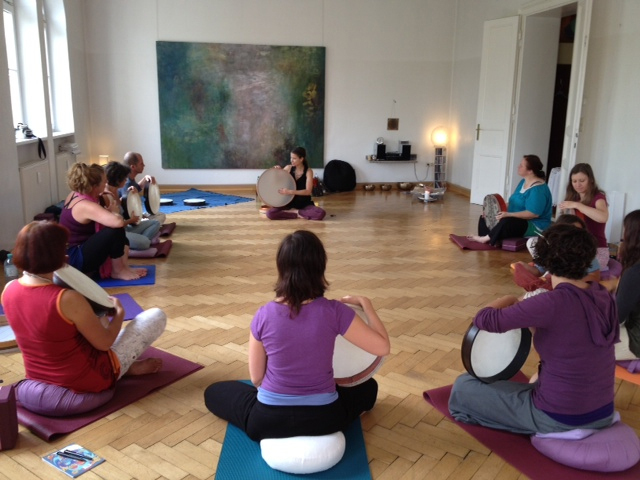 Learn hands on partner sound healing techniques. 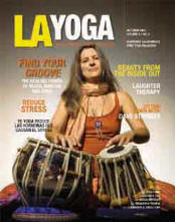 Discover the musical notes and chanting mantras of the Chakra system. Workshop is open to all levels, beginners encouraged. 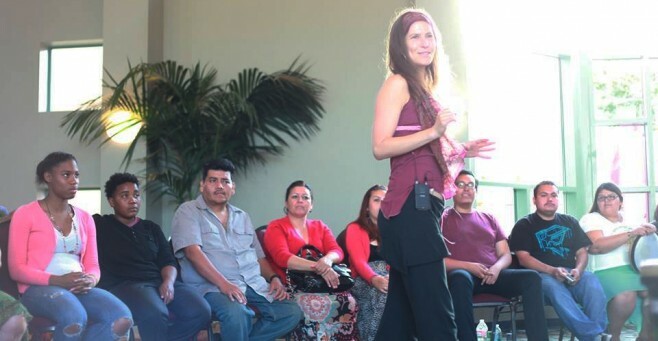 Workshop length may range from three hours to two day weekend intensives. Frame Drums are provided, and your drums are welcome too. 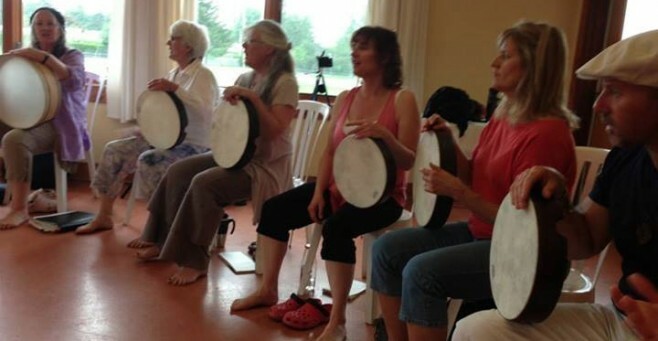 Can be a single workshop, or a two day workshop throughout a weekend. 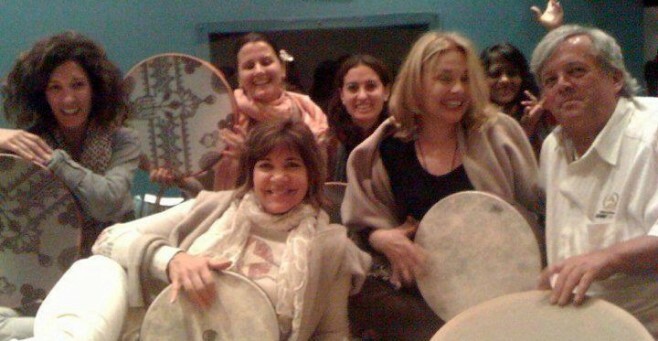 BRING SACRED DRUMMING TO YOUR STUDIO! 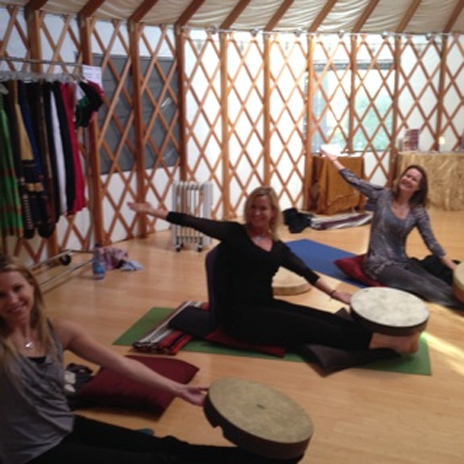 Having a Yoga Teacher Training? 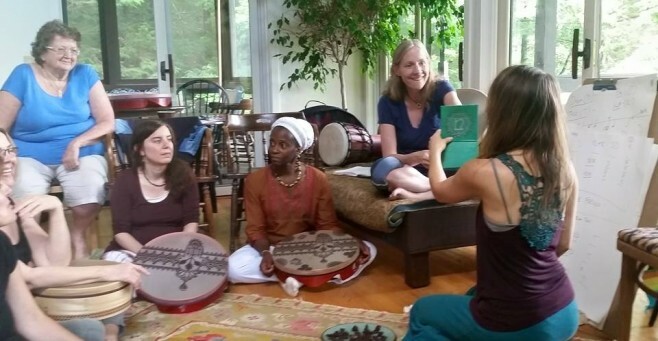 This is also a great workshop to include in a YOGA TEACHER TRAINING, where Marla can students how to incorporate drumming in their chanting practice, introduce them to music from India, and show them how to properly engage their voice while chanting.